Fabulous Beach Vacation Accommodations!! This Beach Condo has been totally upgraded from floor to ceiling with you in mind to make your stay GREAT! In addition to being located “on the beach” — arguably one of the best in San Diego County — and “at the harbor”, you are within walking distance of the pier, the harbor, shops, restaurants, stores and many other local services. 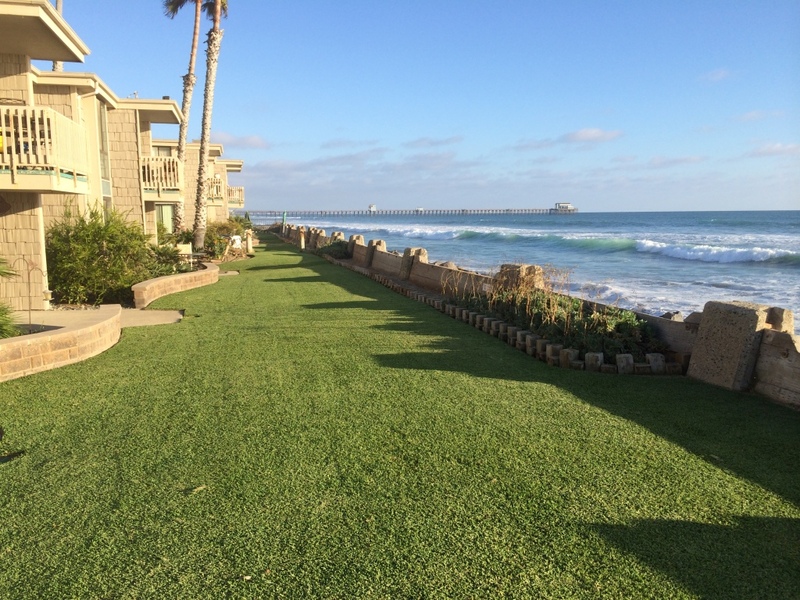 Amenities – Enjoy a great vacation sunning, swimming, and/or surfing at a fabulous sunny beach! 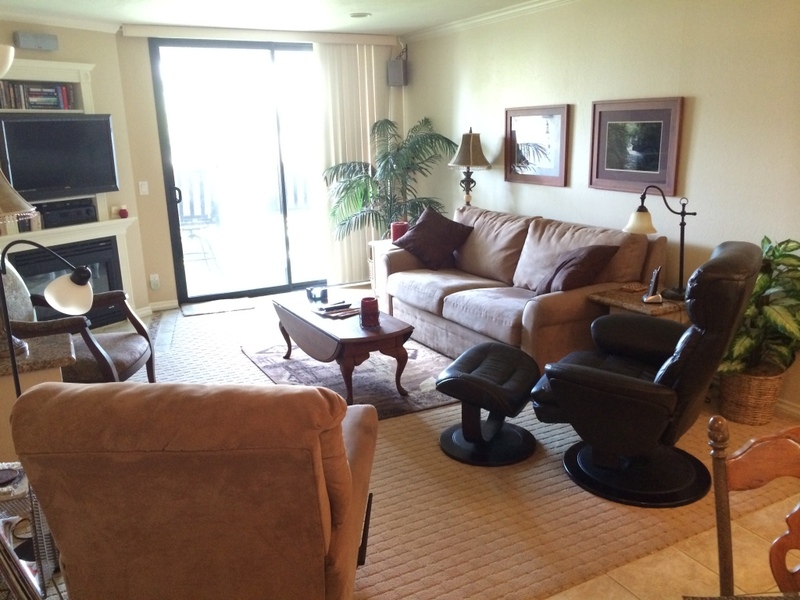 This fully furnished one bedroom condo. The Condo was totally remodeled with casual comfort in mind. The unit has been practically furnished with new furniture you’d be happy to have in YOUR home!! It has everything you need for a great time in the sun and the surf. Plus we are at the beach and a very short walk to the pier, harbor and downtown area where you can enjoy movies, shopping, and tons of restaurants. Just a quick drive away you will find tons of great other activities for the family including Legoland, Sea World, Wild Animal Park, Disneyland and the San Diego Zoo — just to name a few. Just bring your suitcase as we supply everything else. 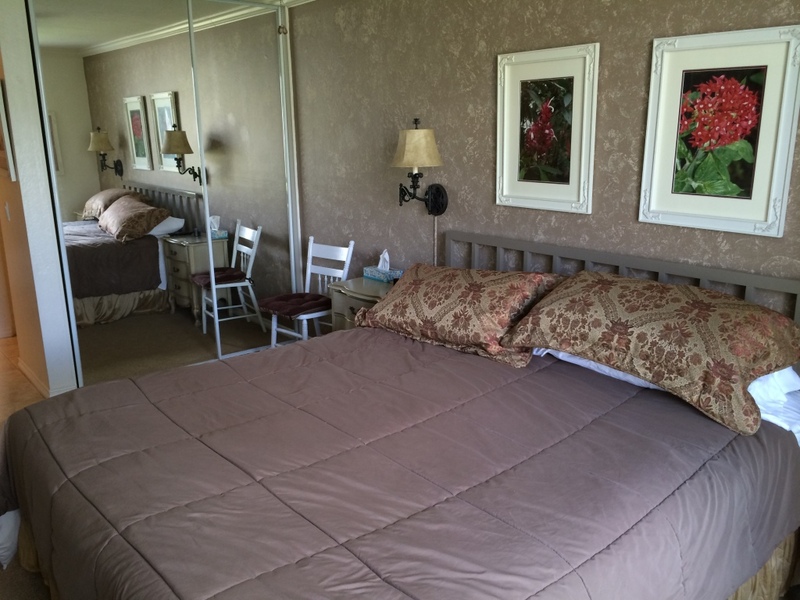 We have sleeping for 4 (king bed and truly deluxe queen sofa sleeper – i guarantee you won’t know you are on a sleeper sofa! ), a fully stocked kitchen, full bathroom with shower and tub, dining table and chairs, and a large living room plus a great ocean view. 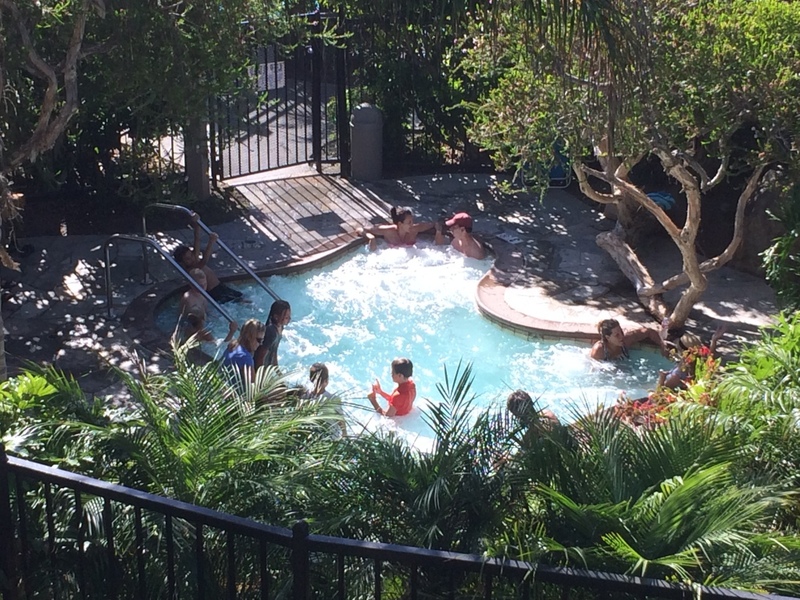 We have cable tv, hi-speed wireless internet, free parking, bar-b-q and dining outside, beach towels and chairs, umbrellas, boogie boards, sand toys……… Let us know more about you and your needs when you write to us. We will gladly send more pics and info. My wife, Rhonda, and I purchased this condo for our family to enjoy. Because we are the primary users of the unit, we’ve furnished it in the style of our own home. While we use it when we can, we’ve chosen to open it to those that love the beach. Our kids enjoyed being so close to the beach. the place is nice and comfortable. Was nice to have all the beach towels and buckets provided. Having a fully stocked kitchen was superb.